There was a time in my life when all my issues were rooted in feeling unworthy. When I felt unworthy I focused on complaining because nothing felt right. I focused on condemnation, judgment and criticism of others. If I couldn’t feel good then it wasn’t fair someone else felt good. Tearing down someone, anyone made me feel better. Such a sad, undesirable way to exist. 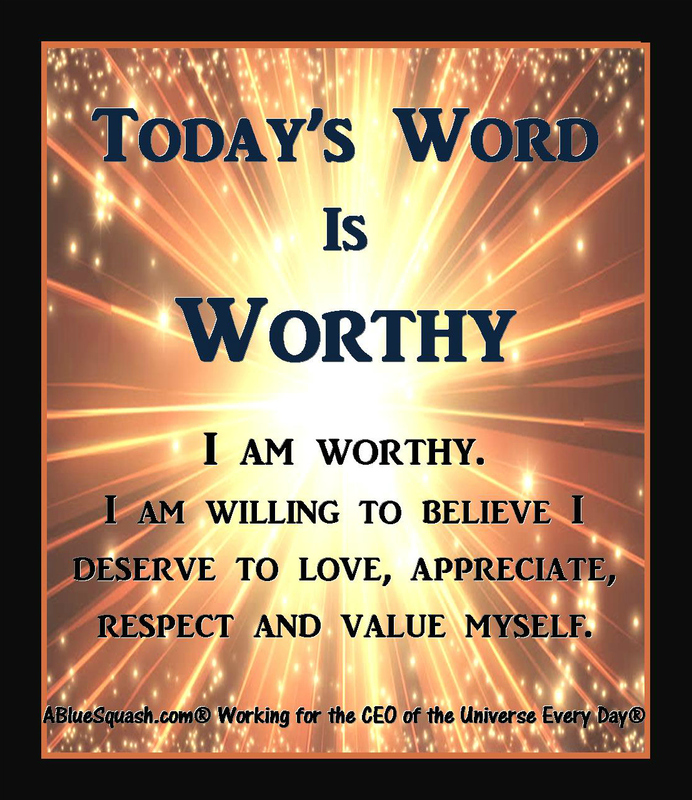 During my transformation journey I repeated the affirmation, “I am worthy. I am willing to believe I deserve to love, appreciate, respect and value myself” multiple times during the day. Every day. Every time my subconscious pushed back with reasons not to believe the affirmation. Paying close attention, I wrote the reasons down and worked through where and why I got the idea I wasn’t worthy. Then I worked on choosing life-enhancing beliefs because I was willing to believe I could. Discovering the Law of Attraction and the Law of the Mind taught me that what I believe – what I vibrate to – is magnetized into my life. I no longer chose to magnetize unworthiness. If I didn’t feel worthy for myself first, no one else would “give” it to me. I learned to vibrate at a different level by choosing a different channel. Like radio waves set to the worthy vibration, other people dialed in, picked it up and tuned in. 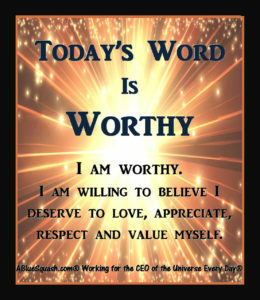 Among a couple others, Worthy and Fearless are two words that will be repeated during the 365 Days of Transformation One Word at a Time©. 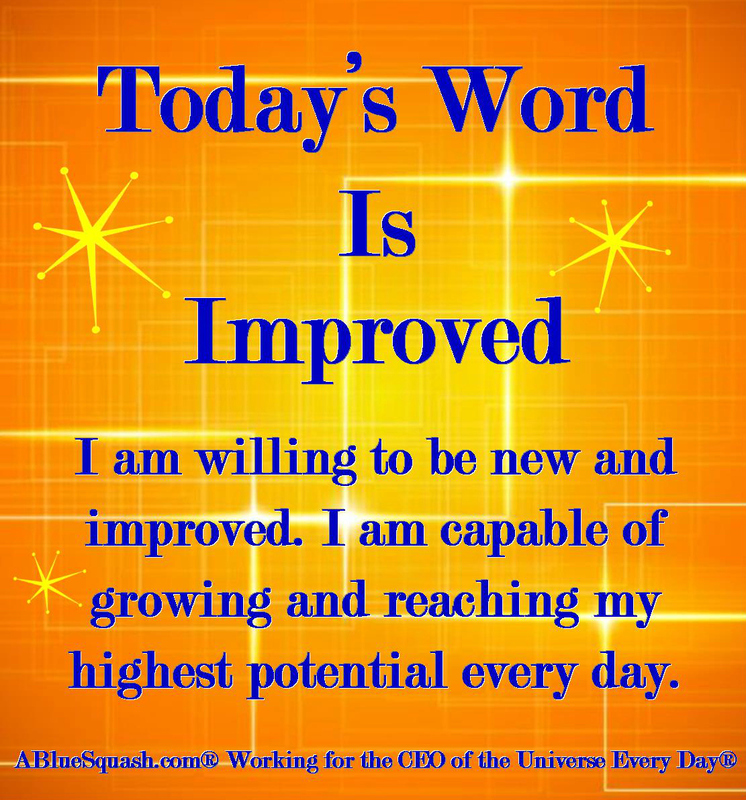 One word, one day at a time. Are you on a personal transformation journey? 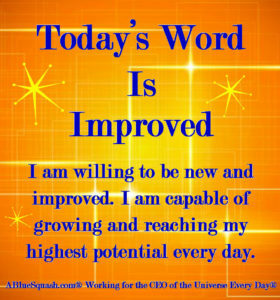 Does it include being open and receptive to more abundance and wealth in your life? The definition of abundance doesn’t always pertain to money. It could mean improving relationships, discovering your life’s purpose and the richness it brings to your spirit and soul, increasing confidence and the use of your gifts and talents, freshening your skills, and much more. Writing an abundance check to the self is a popular visualization tool for creating more abundance in life. When visualizing, remember to experience the emotion you will feel when having your desire fulfilled. Why write it on the new moon? Hand writing a list of wishes, hopes, dreams, and goals on the date of the new moon uses its energy to set an intention, create a vision, and intensify manifestation. February 8, 2016 is this month’s new moon. Writing an abundance check on the new moon will boost its energy. If you believe that kind of stuff is “nonsense,” then at least try writing the check on any date you choose – there are hundreds of success stories out there, including actor Jim Carrey’s. Here’s the video of Jim Carrey on Oprah describing the ten million dollar check he wrote to himself. Use a blank check or create one, just make it as realistic as possible. Write a future date that you expect to receive the abundance. Make the check payable to you. Specify the amount you want – any amount – from just wanting to make ends meet or super-sizing it to make a dream come true. The memo section can be left blank or be specific on what you are doing to receive the amount. Remember to avoid negative wording or wording that could be misconstrued into a negative. Sign the check The Universe, Law of Attraction, God, Divine Intelligence, anything that you believe is the force and has power to bring it to you. the ability to focus on my dreams and goals. any doors that hold me back. knowledge and training needed to move forward. NewMoonCheck.com is a fun site with samples of abundance checks, instructions and in-depth astrology information. Now go write that check! I’ll be reviewing other “transformation” tools in future posts. Please share in comments if you have written abundance checks (and the results) or leave a comment below. Thank you! ABlueSquash.com is devoted to personal transformation and reinventing life. Topics and projects are wide and varied as inspiration is found around any corner anytime, anywhere.